Today I bring to you my Sunglasses Wishlist from one of my favourite online stores ZAFUL. Let’s face sunglasses season is all year round because we need to protect our eyes, however the sunglasses trend summer 2018 is insane. There are shapes, colours and sizes for every taste. So, take advantage of ZAFUL 4TH ANNIVERSARY SALES to buy a few pairs. Yes, I said a few not one but multiple pairs because the prices are amazing! Anti UV Semi-RimlessDecoration Square Sunglasses – Red, when I put my eyes on this pair of glasses I just fell in love with it. The style,the size and the colours are eye catching without being too much. To me just perfect in size, colour combination and material. It is all about the details and this pair is not short of it. Love it! 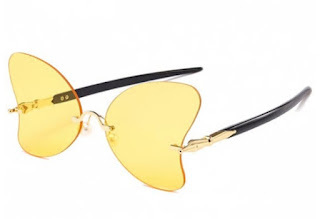 Anti UV Rimless PearlButterfly Sunglasses - Gold Frame + Orange Lens, another pair that I could not resist to dream about is this butterfly shape lenses with gold frame and orange lens. Size + Shape + colours = so much style. This one is my favourite, however they come in 9 different colours, well if you cannot decide just buy all of them. Chunky Full Frame PlasticSunglasses - Tea-colored As I said there is a pair for everyone if you prefer a more classic model and still be super fashionable why not go for a stylish pair just like this one. Love the colour, the model and the size. Simply perfect! 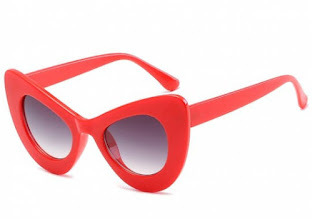 Stylish Full Frame Sun ShadesSunglasses - Bright Red The most popular trend of the season is the cat eyes sunglasses, these ones are in red oh my goodness what is not to like about them. Also come in various colours. 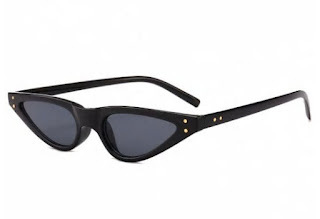 Anti-fatigue Full Frame Sun Shades Sunglasses- Bright Black+grey another cat eyes model in smaller frame and black. However, visit the store because they come in 6 different colours. Visit Zaful now and take advantage of the 4th ANNIVERSARY PROMOTION. Use surprise code ZFMine to receive an amazing discount. Such a great selection. The black pair are my favorites! These are all so fun and perfect for summer! I love the red cat eye! These are all so funky! Love it! Fashion, um acessório que sempre te deixa elegante. Zaful has the best sunglasses. Totally love the yellow one. awesome selection, my friend! I'm want all because I'm sunnies addicted! Great picks! I like the brown pair! Great selection, I love all sunglasses! The last two pairs are my favorite as they're super trendy right now! Amazing selection, love the 3rd. I really love the 3th pair. They look like Celine's. Una selezione davvero molto particolare! Oh wow, the first pink pair is amazing! I love Zaful. Those sunglasses are amazing. I'm a lover of sunglasses. Thank you very much for this post, I loved it. These sunglasses picks are so cute! I love all of them! 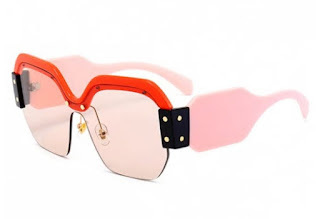 I love sunglasses and these quirky styles are so cool too! Particularly loving the yellow ones! The first are my faves! Such a cool collection of sunglasses! Yessss love those red cat eyes! These sunnies are super on trend! Love em! wow! These are really cool! I especially love the yellow pair! These are pretty cool sunglasses. I love Zaful and they have an awesome sunglasses collection. The last one in black is my fav. Amazing sunnies, I love them all! Awesome picks, girlie! I love them all! thanks for sharing! HI Cris the tea color sunglasses are my fave. Answering the question here http://myeverydaywear.blogspot.com/2018/06/best-find-2018.html, I paid 27.00 USD for the bag. OH and your Manolo find was also at a great price. 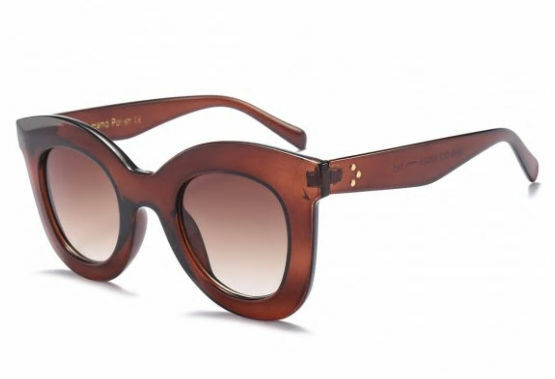 The cat eye sunnies are in trend these days but I'm also loving the chunky tea coloured one. This is awesome and very good blog thanks for sharing this post.